As a company that provides a lawn mowing service in Minneapolis, we know how much a great lawn can benefit your property. When it comes to improving your curb appeal, few things are as effective as a great lawn. Regardless of whether you’re still living in the home or looking to sell up soon, curb appeal is essential. So, this article will prove to you how lawn maintenance is so critical in achieving excellent curb appeal. When someone walks by your home, the first thing they notice is your front yard. As such, having the perfect lawn is a great way to provide a great first impression. If your lawn is faded and very patchy - which can happen a lot during autumn - then it immediately makes your home look less attractive. But, if it’s green and looks healthy, then people take notice right away. This can lead to neighbors complimenting your home, but it’s mainly important for potential buyers. If you’re selling your home, then first impressions are essential. Get off on the right foot by showing off your gorgeous lawn. Another way that curb appeal is heightened by the perfect lawn revolves around brightness. Again, imagine a dark and old lawn that’s not very well taken care of. This instantly casts a gloomy aura on the outside of your property. But, if you maintain the grass and treat it properly, it starts to brighten up the exterior. This helps bring out the best features in your house itself as the two things complement one another. Did you know that your lawn can make your home seem more valuable to potential buyers? It’s true, if someone looks at your lawn and sees that it’s well taken care of, they’re more likely to pay top dollar for your home. If it’s overgrown and looks in terrible shape, then they know it’ll take a lot of effort to maintain it themselves and get it back to how it should be. The appeal of your property is enhanced when your lawn has been cut, it’s neat and tidy, and there’s a lush greenness to it. Buyers see your home in a different light, meaning a quicker sale for more money! 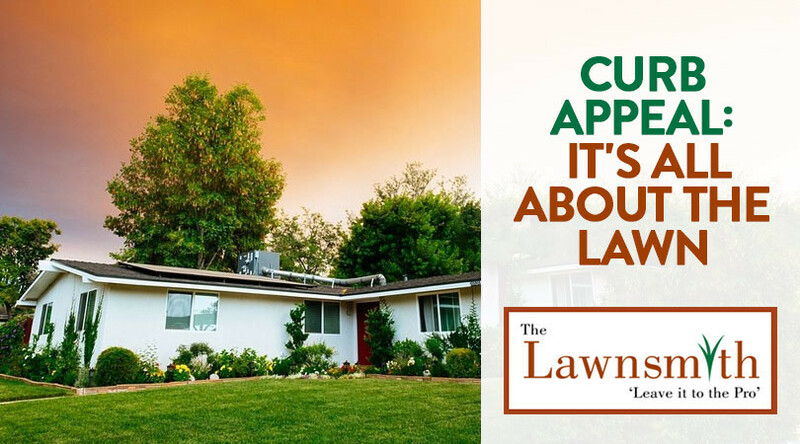 Finally, your curb appeal is enhanced by a great lawn as it helps get rid of any nasty things like weeds. With a proper Minneapolis lawn mowing service, you can get your lawn into the right shape and ensure no weeds are growing in it. This dramatically improves the way your home looks as it no longer seems overgrown and out of control! It’s clear that curb appeal is all about the lawn, so you need to focus on lawn maintenance today. If you want to save yourself a lot of time and effort, then consider hiring The Lawnsmith to take care of things for you. Soon, you’ll end up with a beautiful lawn that boosts curb appeal and makes your home more desirable.